Situated in the heart of downtown Calgary, Alberta, Intact Place is a premier A Class office complex featuring postmodernism architecture and a distinct atrium completely enveloped in glass letting natural light fill the space. Built in 1980, it is comprised of two twin office towers on 1.5 acres with a combined square footage of 464,757. The complex is home to 40 commercial and retail tenants and namesake to Intact Insurance. Other major tenants include Savanna Energy Services Corporation, National Bank, and XTO Energy Canada. Centrally located, the complex boasts a Walk Score® of 96% and a Transit Score 85% with city buses and Calgary’s Light Rail Transit (LRT) accessible right outside of the front entrance. The three Plus 15 skywalk systems directly connect occupants with the Core Shopping Centre, Bow Valley, parkades, hotels, and other major office buildings in the downtown core. Further encouraging green tenant commuting, Intact Place offers secure bike storage and shower facilities, an electric vehicle charging station, and a walking path to the Bow River. 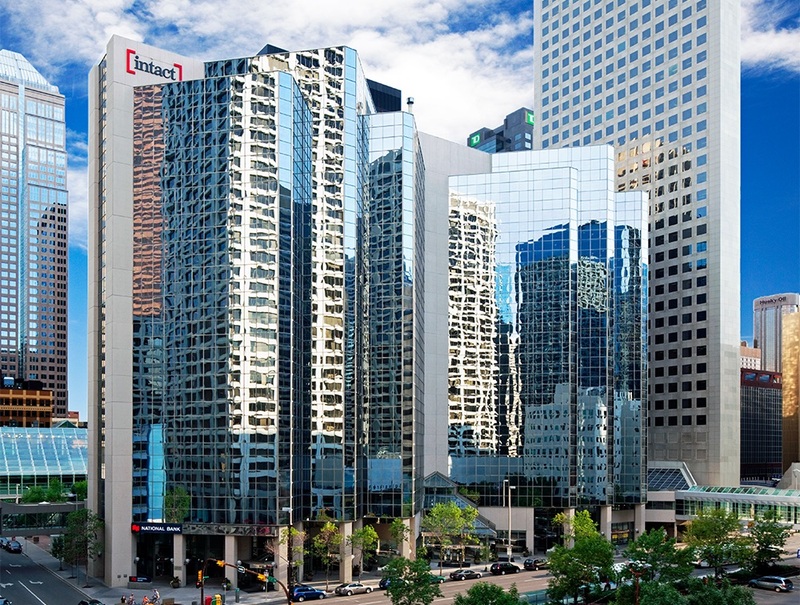 Intact Place is notably the first commercial office building in downtown Calgary to connect to the City’s district energy system. This initiative is part of Bentall Kennedy’s ongoing commitment to optimizing environmentally responsible and long-term building operations. Pointedly, the complex is BOMA BEST® Gold Certified and USGBC LEED® EB:O&M Gold Certified.